Human Beings are immortal only as far as Bollywood fantasies or some fictional novels are taken into consideration, but what if such thing happened in real life. Yes! 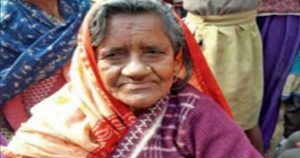 a woman in Kanpur came back from dead after a long span of 40 years. Earlier in 1976 after discovering her fainted out in the farm fields, the locals assumed snake bite as the cause of her death. Her surprising return shocked both her daughters and family members. Coming to the details, the woman then 42 years old belonging to Bidhnoo village of the district, had died of snake bite in 1976. The family even performed her last rites by immersing her body in the Ganga. Forty years after the immersion, all of sudden she returned home on Friday and explained that she was not killed by the snake bite, but had only lost consciousness and that some boatmen had rescued her and took her to the village temple. After assuming the snake bite as the cause of her being conscious, she was taken to the traditional healer. However, the healer concluded that she was dead and the very following moment her body though floated and reached a village close to Kannauj district border. A resident of Sarai Theku, Ramsaran revived her. The 82-year -old Vilasa, a native of Inayatpur village in Majahwan town of the district later told her two daughters- Ram Kumari and Munnidaughters the real story behind her return. “My mother said that she had lost her consciousness and her memory. A few days ago, she recalled the incident and narrated it to a girl who discussed the matter with her uncle. The girl’s uncle contacted one Chetram (82) who too recalled that he had attended Vilasa’s funeral. Later, Chetram contacted us and apprised us of the development,” said her elder daughter Ram Kumari. “We immediately recognized her from a birthmark,” added Munni, Vilasa’s younger daughter.